China has detected an evolution in the H7N9 avian flu virus that is capable of causing severe disease in poultry and requires close monitoring, the World Health Organization (WHO) said on Tuesday. 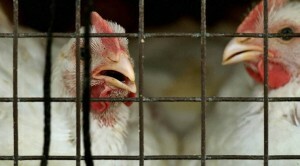 Samples of the virus taken from two infected humans were injected into birds in a laboratory and became “highly pathogenic” for poultry, it said. A total of 304 new laboratory-confirmed human infections were reported in mainland China between January 19 and February 14, along with 36 deaths, the WHO said in its latest update on Monday. The evolution of the virus may mean that the disease will become more apparent in some flocks, if birds begin to die off, making detection and control easier. “This is the first time these changes have been detected. These are the only two cases in Guangdong province, China. So far, there have been no reports if similar changes have occurred elsewhere,” Lindmeier said. “It is a reminder that we have to keep looking closely,” he told Reuters. Animal health experts say bird flu infection rates on Chinese poultry farms may be far higher than previously thought, because the strain of the deadly virus in humans is hard to detect in chickens and geese. In all, since the “fifth wave” of the virus, first identified in 2013, began in October 2016, 425 human cases have been recorded in China, including 73 deaths officially reported by authorities, according to WHO figures. “Most of these cases had known exposure to poultry or its environment, that is the main important link to this influenza type,” Lindmeier told a news briefing. In all since 2013, there have been 1,200 laboratory-confirmed cases in China, including more than one-third since October, he said.